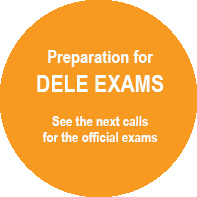 We offer several courses of Spanish, about Spanish and for teaching Spanish. 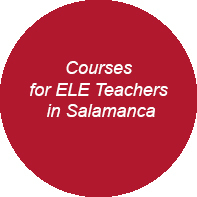 Here you will find our calls for spanish courses in Salamanca: General and specific Spanish, courses for teachers of Spanish, courses to prepare DELE. 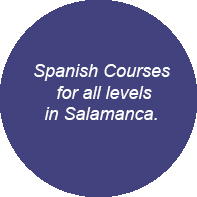 If you want to improve your knowledge of spanish language: See our calls for spanish courses in Salamanca; we have ordinary calls for levels A1, A2, B1 and B2. Levels C1 and C2 are organized by extraordinary calls (Circle in blue) You can follow a course in individual sessions or with a partner in any date you choose. You always can follow your course in another dates in individual sessions or with a partner.